Ramu Tokashiki’s first season in the world’s premier club basketball competition for women came to a close with a loss on Sunday, but the Seattle Storm’s Japanese rookie has already proved she belongs in the WNBA. The Storm’s 59-58 loss to San Antonio in the final game of the season was meaningless as the Seattle-based team, WNBA champions in 2004 and 2010, had already been eliminated from the playoffs. The game, however, gave head coach Jenny Boucek the opportunity to test Tokashiki one final time in front of the team’s home crowd, and she passed with flying colors. 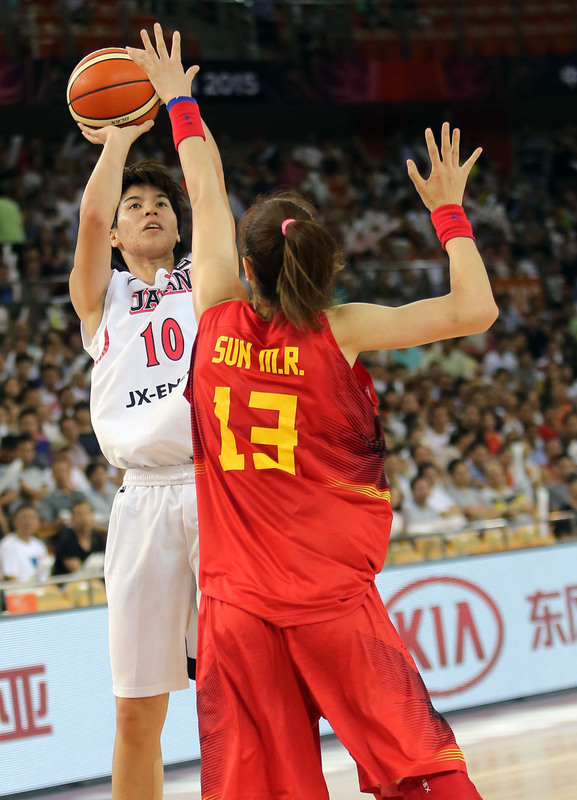 Against San Antonio, Boucek moved the 191-cm Tokashiki to small forward, a position she had never played before, to test her ability against faster and smaller opponents. 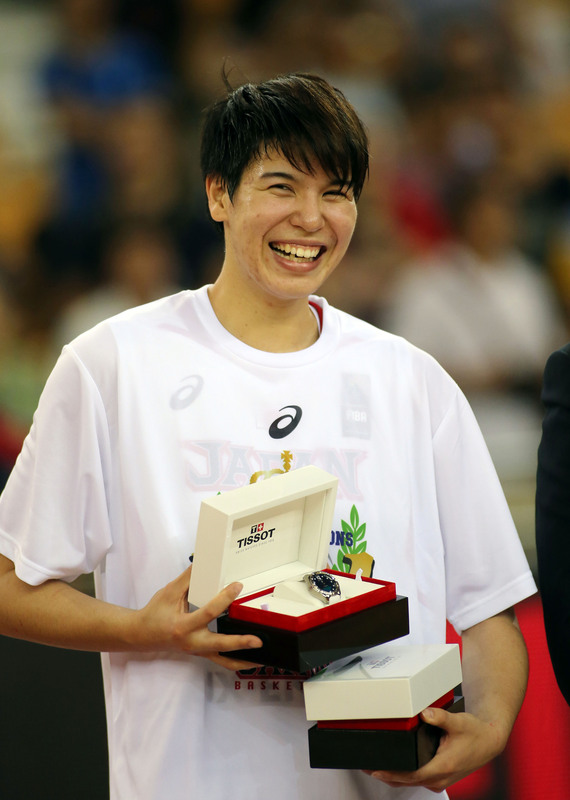 Tokashiki, a two-time WJBL MVP during her days with the JX-Eneos Sunflowers, has always played power forward or center because she has towered over her competitors in her native country, but when she arrived in the United States the 24-year-old had to transition to a league where she was just average height — and Sunday’s game was another step in that process. 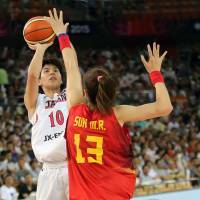 “Taku looked unbelievably smooth considering she hasn’t practiced there at all,” said Boucek after Tokashiki’s nine-point, six-rebound effort, calling the Japanese by her nickname. Tokashiki ended her first WNBA season third among all rookies in scoring at 8.2 points per game, tied for second in blocks (0.9), fourth in minutes averaged per game (20.6) and sixth in rebounding (3.3), totals that put her near the top of her class overall. That 8.2 ppg average left her in the top-40 of all WNBA players in 2015. 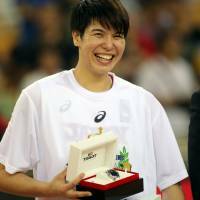 Her career-best year may now be behind her, but with another WNBA season and the Rio Olympics in her immediate future, 2016 will likely see her reach new heights as the shooting star of Japan women’s basketball.